Unless you’ve been living under a rock, you’ll know how much I love Harry Styles. So obviously I was extremely excited when he released his first solo album on Friday, even more so because I miraculously managed to get tickets to his tour in October a week before! Don’t ask me how I did it, to be honest I’m still in shock and disbelief, but the fact that I knew before I even heard the album that I’d be hearing these songs live added even more anticipation towards it. As a One Direction fan for almost seven years, I have to admit that I was nervous to see what Harry’s solo music would be like. On hearing the first single, ‘Sign of the Times’, I soon realised that any fears I had were unfounded. However, I had no idea what to expect from the full album. People had been comparing it to 70’s rock, the Beatles, David Bowie, and this made me excited yet intrigued as to how different these songs were going to sound. I’d been used to the upbeat pop of One Direction, and knowing that Harry was taking a different path both excited and scared me because I didn’t have a clue what to expect. So, when I pressed play on Spotify at 9:30am on Friday, my heart raced and my palms sweated as I immersed myself in my favourite person’s debut solo album. And it certainly did not disappoint. In fact, it completely blew me away and exceeded my already high expectations. I know what you’re thinking. Eye roll emoji, I’m biased because I have adored Harry since I first laid eyes on him. But honestly, I’m not the kind of person to hold back my opinions on music, especially if I dislike it. I’m seriously being as honest as I can in this post, and yes I love Harry but I shall try not to let that shadow the truthfulness of my opinions. The album opens with the mellow and chilled ‘Meet me in the Hallway’, which is atmospheric and gives off Pink Floyd vibes. The almost haunting effect of the echo on the vocals with the gentle tune were enough to give me goosebumps, in a completely good way. As I’ve said a million times, I love songs that make me feel something, and this song remains one of my firm favourites on the album, which is very unusual for an opening song. I feel like ‘Meet me in the Hallway’ sets the scene for the album really well, it’s not too in-your-face like some of the songs that come later and it eases you into the album with a really easy to listen to, chilled out vibe. I’ve already talked about my love for ‘Sign of the Times’ in a previous blog post, but despite it being a single it is still up there with my favourites on the album. It’s so powerful and again, it’s meaningful and bittersweet. My mum was talking to me about this song just the other day, and she said that whenever she’s had a hard day at work or is feeling a little down it makes her feel better. Now, having that kind of confession from my mother made me happier than you could imagine, because that’s exactly how I’ve been feeling about One Direction for the past six years. ‘Sign of the Times’ can be interpreted however you want it to be, my dad said he finds it sad and I agree, however there is something about it that comforts me and makes me feel hopeful. The message to me is that yes, times are tough right now, but times have been tough in the past and you’ve got through it, and you will get through it again. Stop your crying, it will be alright. Sometimes those are the only words you need to hear when you’re not feeling your best. The third track, ‘Carolina’, is the first taste of Harry’s rock-influenced side. It immediately evokes comparisons to The Beatles and the rock and roll era, and although I was a little unsure about it at first I have grown to love it. I think because it’s such a different sound to what I’m used to with One Direction, I was uncertain. But this isn’t One Direction, this is Harry exploring a side to himself that he hasn’t been able to show before, and he pulls it off with style. (Pardon the unintentional pun). ‘Carolina’ is upbeat and fun, with rocky guitar backing and a tune that gets stuck in your head for all the right reasons. ‘Two Ghosts’, in contrast, goes back to the chilled out vibe at the start of the album and is probably my favourite at the moment. I love the simplicity of the tune and the guitar and Harry’s incredible, beautiful vocals which I feel are more shown off in the slower songs. I’ve always been a sucker for the ballad-style songs on albums so it’s not really a surprise that this is one of my favourites. Also, the lyrics are really beautifully written and that’s what makes a song go straight to the top of my list, I’m such a sentimental person and always listen carefully to the lyrics of a song so I appreciate ones that are well written and mean something. I do love a metaphor as well. I am a creative writing graduate, after all. Another of my favourites follows straight after. ‘Sweet Creature’ was released about a week before the album was yet I still adore it. It’s another pretty, sweet song with just a simple guitar in the background and it makes me really happy. Again, it’s probably because the lyrics are really adorable and they make me smile, I love songs that can instantly cheer me up when I’m feeling a bit down. For the next two songs, ‘Only Angel’ and ‘Kiwi’, Harry Styles the rock star returns. ‘Only Angel’ begins with a fifty second long intro which fools you into thinking it’s going to be a pretty, heartfelt ballad. But oh, no. That cheeky Styles, after almost a minute of atmospheric music that sounds as though you’re ascending to the gates of heaven, there’s a sudden scream of ‘Hey!’ and a rock and roll song begins. It’s truly the plot twist of all plot twists, and I love it. I got another shock when I first heard ‘Kiwi’. I truly did not know what to make of it. It shook me to the core. To be honest, I didn’t really like it to start with. I mean, it’s incredibly rocky, reminiscent of 70’s rock, and it has the most strange lyrics I think I’ve ever heard. During the chorus, Harry shouts ‘I’m having your baby, it’s none of your business’… I mean, what’s that supposed to mean?! Harry himself confessed on Radio One that the song started out as a joke, so I can only imagine that he’s mocking someone, and the more you listen to the song the more you come to appreciate and love its complete randomness. I can only imagine how crazy this song is going to be live, and I can’t wait. 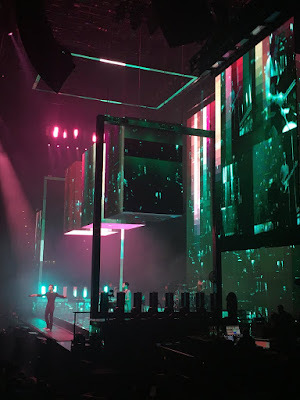 Onto another more calm song – you definitely need it after ‘Only Angel’ and ‘Kiwi’ back to back – ‘Ever Since New York’ is also one of my favourites. Wow, another slow one being my favourite? So original! But I honestly love this song, it’s got a really chilled sound again and I love the soft guitar in the background. Plus, the live version he sang on the Today Show last week really showed of his beautiful voice and made me fall in love with it even more. The penultimate song on the album ‘Woman’, is the final taste of rock star Styles. I’ll be honest, it’s probably one of my least favourites on the album, but that doesn’t mean I don’t like it. I just don’t find it as fun and exciting as the other rock style ones, but it’s still great to sing and rock along to. Finally, ‘From the Dining Table’ brings the album back full circle to reflect the first track, ‘Meet Me in the Hallway’. I feel like this album definitely tells a story – of relationships, youth, fame, fun, heartbreak, and ‘From the Dining Table’ is a very slow, if slightly depressing, end to the story. It isn’t one of my favourites, however I feel like it’s a fitting end to the album to allow it to fade out without the aggressiveness of the more rocky tunes. I’ve got to say that the lyrics are also beautifully written, too. I don’t usually go through the album song by song when I do these reviews, but since this one meant a lot to me and there are only ten songs, I decided to explore each one. 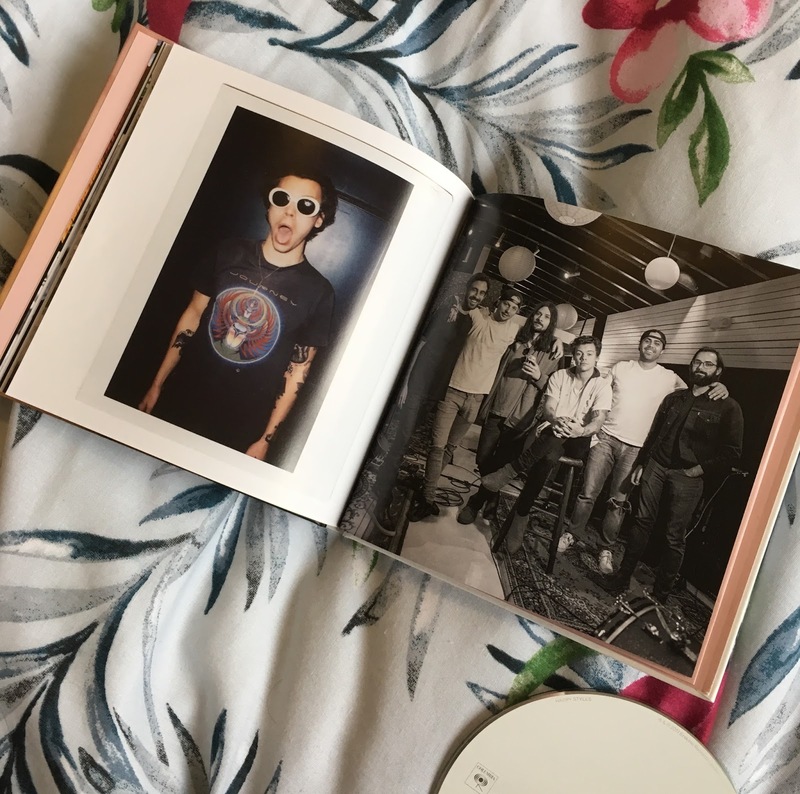 I am incredibly proud of Harry, in the least cheesy way possible, for producing this beautiful, unique album. It’s the perfect mixture of slow, reflective songs and upbeat, rocky ones. 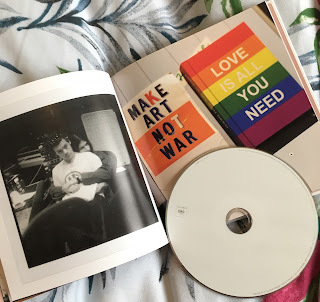 Harry said that he self-titled this album because it is the most of him he has ever revealed, and you can really tell through the emotion and passion he has put into these songs. He has branched out of that boyband image he had for so long, and although that wasn’t a bad thing, this album has shown a side to him that he never got chance to show. This album is unlike anything I’ve heard from artists at the moment. It’s refreshing, it’s heartfelt and it reflects who Harry really is. He wrote all the songs, he poured his emotions into them and he took his time over it. I admire him so much and am so proud of what he’s achieved through sharing this album with the world and I feel very privileged that I get to hear these amazing songs live. Since this album has been released, I’ve seen so many people praising Harry for it. This warms my heart, because not everyone has always treated him right in the past. But if you want to know my thoughts on that, you can read this post I wrote all about it. I’m not going to start a rant here, but I just want to say how proud I am that Harry proved all those people who ever doubted him wrong. This album embodies Harry’s amazing talent, and I’m grateful that the world is finally recognising it. Also, I bought the limited edition version of the album from Amazon which features a 32 page booklet of photos, as you can see in the photos I’ve included in this post. It really is very pretty and I don’t regret spending more money on it at all! 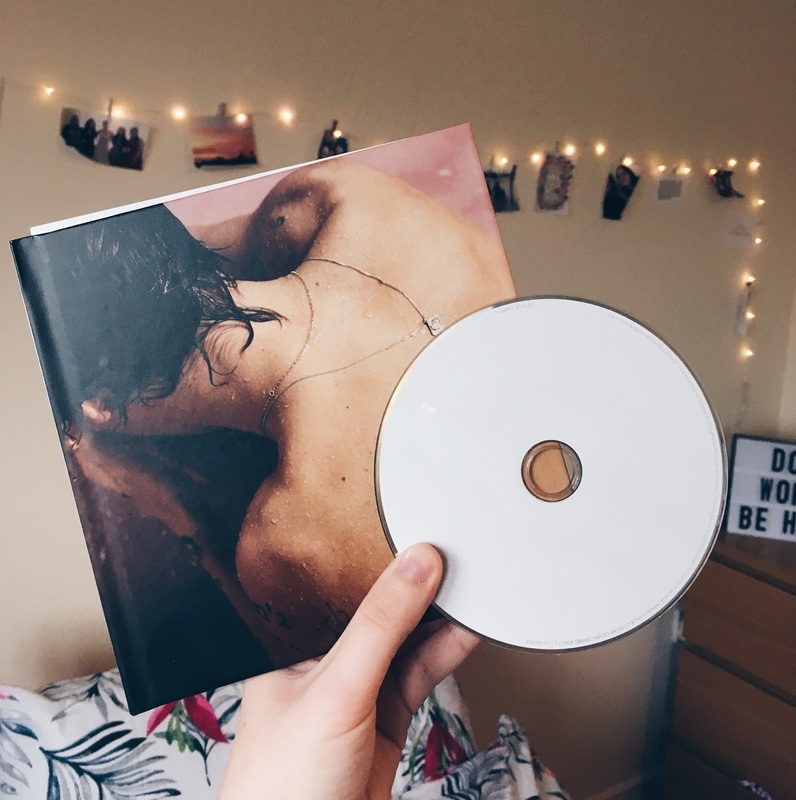 Have you listened to Harry’s album? What do you think of it? 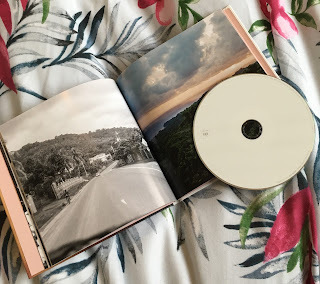 Let me know your favourite songs and your opinions in the comments, I love hearing from you guys!